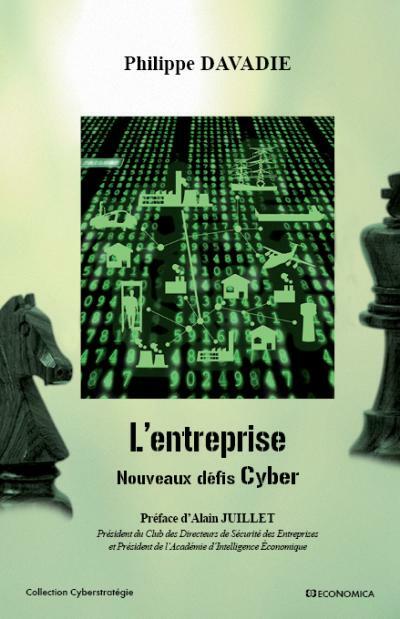 “Companies: New Cyber-challenges” translated from french "L’entreprise : nouveaux défis cyber"
Fully digitized, companies are now exposed to cyberthreats as well as cybercrime and companies must be able to protect themselves against these modern-day menaces. A rigorous analysis demonstrates that there are a wide range of corporate information systems that are far more complex than simple computer management. Only a small share of a company’s computers are setup to withstand cyberattacks. Moreover, the number of cybercriminals is growing and some are even joining criminal structures, circumstances that portend a bleak future for those involved in cyberspace. If this concern is not new, the inclusion of certain types of corporate information technology security is: who knows about the company information systems other than information systems management? Who cares about securing industrial computing and the information system security perimeters? Who cares about teleoperations security? These new challenges that companies face are at the heart of this book, which offers an overview of corporate information systems and security solutions.